West Bengal chief minister Mamata Banerjee on Wednesday said people have been forced to accept the scrapping of Rs 500 and Rs 1,000 notes. 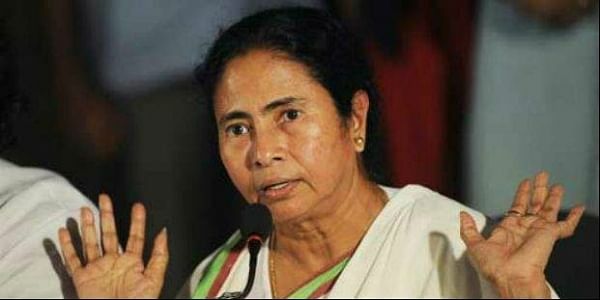 KOLKATA: West Bengal chief minister Mamata Banerjee on Wednesday said people have been forced to accept the scrapping of Rs 500 and Rs 1,000 notes not willingly but out of fear, taking a dig at Prime Minister Narendra Modi’s vehement justification of demonetisation of higher value notes in Parliament on Tuesday. She also took to the Twitter to slam Narendra Modi. "Today, three months over. Restrictions and sufferings not over. Citizens have lost economic freedom...only few rich capitalists are not suffering. Commoners, middle class, downtrodden, poorest continue to suffer. The economy has slowed down tremendously. The nation is facing an acute economic crisis. How much longer? "(Sic) she wrote. At the State Assembly, the Trinamool supremo without naming the three BJP MLAs, said people threatened to tie her with a tree in Delhi but if she wants she can whitewash those forces in the State but she does not want to pursue vendetta politics. Earlier, BJP state president Dilip Ghosh had threatened that Trinamool MPs could be tied to trees and beaten up by BJP workers in Delhi after their opposition to demonitisation of higher value notes. Over the resignation of Advocate General Jayanta Mitra, she said the appointment to judiciary is apolitical and earlier resignations were due to different reasons.